Slow Scan Television (SSTV) images are sometimes transmitted from the International Space Station using MMSSTV software to transmit stored images. SSTV ARISS ham radio stations usually operate as NA1SS/ RS0ISS running Kenwood D700 and D710 radios. The SSTV equipment also includes SpaceCam, MMSSTV software, a radio/computer interface module and data cables. Also a Kenwood VC-H1 is used to provide near real-time automatically transmitted images (usually earth views) once every 3 minutes, when active. The frequency used is 145.800 MHz and the mode is FM. I use MMSSTV to decode images which can be downloaded for free. If you would like to add your own received images. 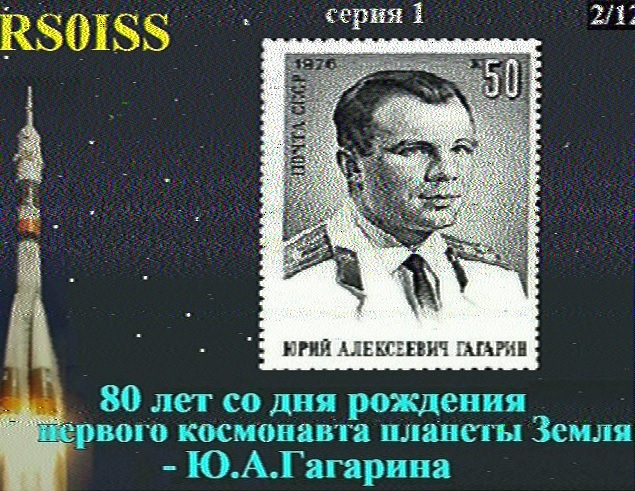 Please forward your ISS SSTV images here Thank You!